CITSens MeMo is an electrochemical, enzyme-based sensor that allows continuous online, in situ measurement of glucose and lactate. It is designed for use in cell culture media as well as in complex matrices, e.g., blood. The sensor system delivers real-time information on a culture’s growth behavior and metabolic state. Data are generated at a 20-sec frequency and continuously sent to a database via wireless communication. An easy-to-use open platform communication (OPC) server connection enables process control based on the measured kinetics of glucose consumption and/or lactate generation. 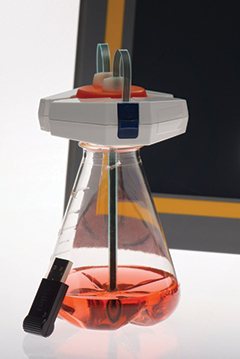 The system’s single-use sensor comes as a standard product (as a reactor probe containing a PG13.5 thread or as a flow cell sensor) or can be custom-manufactured as a cap sensor fitting any of the commonly used brands of cell culture vessels, including T-flasks, shake flasks, and roller bottles. The sensor is shipped double-packaged, gamma-sterilized, and stored at 4°C. 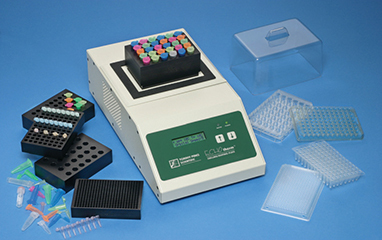 The EchoTherm Model SC25XT features a variable-speed orbital shaker for mixing biological and other samples. The fully programmable unit has a five-program memory and incorporates a 30-day countdown timer with an alarm and an auto-off function, data logging capabilities, and an RS232 I/O port for data logging or controlling the bath from a computer. It has a temperature range of −20°C to 100°C, and can control sample temperature within 1°C of the setpoint. The system can use sample blocks for 0.2-mL, 0.5-mL, 1.5-mL, 15-mL and 50-mL centrifuge tubes, 2-mL vials, and 20-mL scintillation vials, as well as polymerase chain reaction (PCR) tubes and plates, 96-well and 384-well assay plates of all shapes, deep-well assay plates, and other blocks for test tubes of various sizes. This molecular biology tool can be used to run temperature and time profiles, and automatic enzyme reactions and deactivations, among other tasks. The dry bath has a universal benchtop power supply and is Compliance, Safety, Accountability (CSA)-, UL-, and CE-compliant. This miniature microcarrier bioreactor for the ambr 250 high-throughput (ht) system enables rapid scaleup of adherent cell culture processes to pilot- and manufacturing-scale stirred bioreactors. The single-use vessel has a working volume of 100–250 mL and features a single elephant ear impeller. This type of impeller generates optimal mixing and suspension of microcarriers, allowing adherent cells to grow over the entire microcarrier surface. 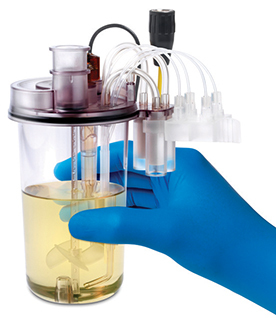 Up to 24 bioreactors can fit in the ambr 250 ht system. The technology is suitable for design of experiments (DoE) studies to optimize process development for vaccine manufacturing using a quality by design (QbD) approach. AFT Arrow 7 updated software can be used to model, simulate, and analyze pressure calculations and flow distribution in gas piping and/or ducting systems. The software can import piping layouts from CAESAR II Neutral files and import Piping Component Files (*.pcf) from SmartPlant, CADWorx and AutoCAD Plant 3D. It eases EPANET import/export and has enhanced Excel integration, including the Excel Export Manager. The software uses a 2D or isometric user interface and enables intuitive data entry for centrifugal compressors, reciprocating compressors, and fans in the Compressor/Fan Property window. An updated relief valve specification with opening and closing profiles helps perform heat-transfer calculations, including external convection coefficients, buried pipe heat transfer, and heat tracing parameters. Version 5.4 of the COMSOL Multiphysics software package features performance improvements and additional modeling tools. 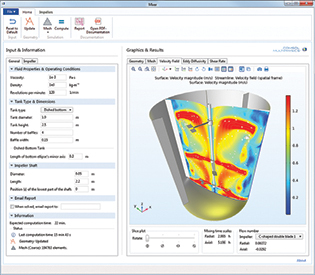 It incorporates the COMSOL Compiler, allowing distribution of simulation applications through executable files, and the Composite Materials Module for layered structures analysis. Productivity improvements include the ability to use multiple parameter sets in a model, organize the Model Builder nodes into groups, and assign custom coloring schemes to geometric models. It has an updated memory allocation scheme that provides faster computations in the Windows 7 and 10 operating systems for computers with more than eight processor cores. New multiphysics capabilities include heat transfer, electric currents, and Joule heating in thin-layered structures. Electromagnetic modeling features include fully parametric and ready-to-use parts for coils and magnetic cores, and structural-thermal-optical-performance (STOP) analysis for ray optics. Structural capabilities now include shock response spectrum analysis and material activation for additive manufacturing. Acoustic ports and the nonlinear acoustics Westervelt model are now available for acoustic modeling. Fluid flow simulation now includes large eddy simulation (LES) and fluid-structure interaction (FSI) for multiphase flow and multibody dynamics. Heat radiation modeling with diffuse-specular reflections, semi-transparent surfaces, and light-diffusion equations is now available. New chemical features include lumped models for batteries and an updated thermodynamics interface. A new topology optimization tool is also available. The software is supported on Windows, Linux, and macOS operating systems. This second update to the R20 software provides advanced analytic tools for engineers and scientists to rapidly collaborate and study manufacturing data. The software allows users to publish insights and share results. Expanded machine learning enhances predictive analytics and an improved query model provides faster contextual data connections from SQL-based data sources to big data sources. The update includes integration support for Inductive Automations’ Ignition supervisory control and data acquisition (SCADA) system to establish display window capabilities. The software improves production results and is designed for use in the oil and gas, pharmaceutical, chemical, energy, mining, food and beverage, and other process industries. 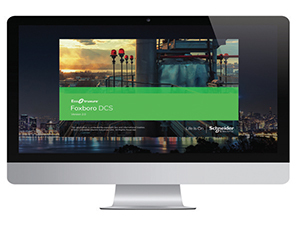 EcoStruxure Foxboro DCS Control Software 7.1 improves real-time efficiency, cybersecurity, and reliability of operations. The distributed control system (DCS) software enables open, interoperable process automation to provide highly accurate and effective control over a manufacturing plant’s operation. It runs on Windows 10 and Windows Server 2016. The software’s Intelligent Commissioning Wizard reduces commissioning time by automating HART device commissioning and documentation processes. The Device Replacement Wizard helps the user replace or commission HART devices, either individually or in bulk. The Bundled HART DD library increases security, enables faster device deployment, eradicates version mismatch, and eliminates cybersecurity risks previously created by moving documents from the HART consortium web page into the system. The new human machine interface (HMI) Bulk Graphics Editor allows an easy transition from the classic FoxView HMI to the new Foxboro DCS Control HMI. The Control Editors Activity Monitor improves communication, workflow, and collaboration. The Synthia Digital Chemical Synthesis Tool is a retrosynthetic design software tool that drastically reduces the time required to find and execute viable synthetic routes to known and novel molecules. It combines tens of thousands of expert-defined rules of chemical reactivity and presents highly customizable routes that can be optimized for efficient cost, step count, and protecting group requirements. Users can choose starting building blocks or chemistries to avoid, and can use an advanced search function to identify potential conflict and selectivity issues, in addition to stereo- and regioselective reactions. The software eliminates nonviable options and presents the best-suited chemical synthesis pathways. The MicroSmart FC6A Plus programmable logic controller (PLC) can control and monitor large machines or entire small-scale manufacturing facilities. It handles complex control requirements such as proportional integral derivative (PID), flow totalization, and recipes, and executes basic instructions in as little as 21 nanoseconds. 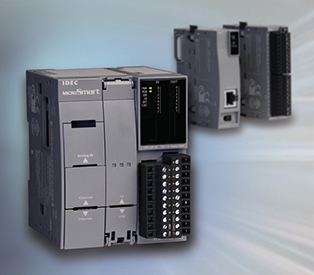 It has a program memory of 800 kB and can be expanded for up to 2,060 local I/O. The controller has 24-VDC input power and includes an integral 0-VDC to 10-VDC analog input with 12-bit resolution, and it can accommodate up to three plug-in discrete, analog, serial communication, or Bluetooth cartridges. The Bluetooth wireless communication adapter provides access to the PLC from a distance of up to 10 m. An app allows access from any iOS or Android smartphone or tablet. The controller can be configured as an FTP client or server to transfer programs and logged data and can function as a web server accessible from any internet-connected device via a browser. Prebuilt objects and symbol factories with simple drag-and-drop functionality eliminate the need for HTML programming to build or maintain the web server. All models have two built-in RJ45 Ethernet ports that support the Modbus TCP protocol, and the serial port supports the Modbus RTU protocol. 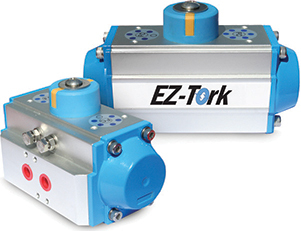 The NEXTEK series of actuators and controllers expands with the introduction of the EZ-Tork Actuator as a pneumatic rack-and-pinion actuator for smooth operation in process control applications. It has an International Organization for Standardization (ISO) 5211/NAMUR-compatible design for universal, direct-mounting, and accessory attachment. The actuator is available in 17 models, with outputs ranging from 1.8 lb to 486 lb and a 1/8-in., 1/4-in., or 1/2-in. national pipe thread (NPT) air inlet manifold. It features a hard anodized aluminum housing and a nickel-plated alloy drive shaft. A Versa-View continuous mechanical position indicator and bidirectional stroke pinion travel-stop adjustments ensure precise positioning in all flow-control services. The travel stops can absorb the actuator’s maximum rated torque and the maximum impact loads associated with the recommended stroke speed. 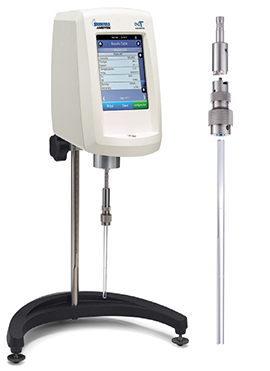 The Gel Timer DV2T Viscometer serves as a replacement for the Sunshine Gel Timer instrument. It provides continuous torque sensing with live display of real-time data, making it suitable for quality control measurements of gel coats, resins, and potting compounds. It features a magnetic compression-fit coupling to easily attach and detach the 6-mm-dia. glass rod to or from the instrument. The rod rotates at 1 rpm, and gel time is recorded when the defined torque value is achieved. When gel time is reached, the display shows both the gel time and the equivalent viscosity value. 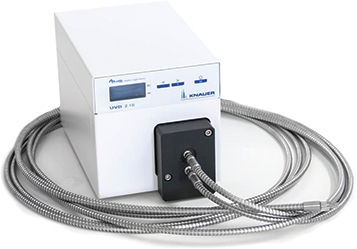 The integrated temperature probe provides peak exotherm data in °C or °F. Test methods can be run manually, or automatically using the time-to-torque program stored in instrument memory. The viscometer comes with a lab stand and a stop for better control over the rod’s immersion depth. The ISQ EM single-quadrupole mass spectrometer integrates seamlessly into high-performance liquid chromatography (HPLC) or ultra-high-performance liquid chromatography (UHPLC) systems. It has a mass-to-charge ratio range of 10–2,000 and is able to detect and quantify small and large molecules. 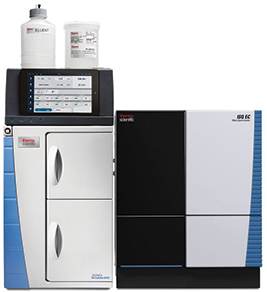 The mass analyzer acts as a mass filter, allowing users to select either a specific analyte to detect (i.e., single-ion monitoring) or various analytes at the same time (i.e., full-scan monitoring). Detection based on the mass-to-charge ratio isolates co-eluting peaks by mass selectivity and ensures correct peak assignment, even in complex matrices. This allows identification of eluted analytes without retention time validation and can confirm the presence of known and unknown compounds. The heated electrospray ionization (HESI) and dual HESI/atmospheric pressure chemical ionization (APCI) probes facilitate the measurement of polar and nonpolar analytes. The system allows single-assay run and tracking of emerging impurities. The company’s Chromeleon Chromatography Data System (CDS) translates the physical properties of the analyte into optimal mass spectrometer parameters and can confirm compounds by specific mass fragments using collision-induced dissociation (CID). The ISQ EM has a built-in reference standard for automatic instrument calibration. The system can operate alongside both ion chromatography and liquid chromatography systems, can withstand dirty samples, and is easy to clean and maintain. 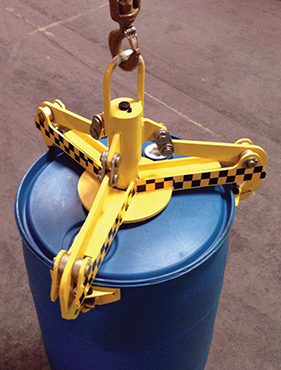 The Model 3A-HD-BHDL mechanical hook attachment can be used to lift nearly any 55-gal steel or plastic drum from an overhead position so it can be moved to or from scales, pallets, or similar handling/containment devices. Three radial arms conform to the drum body and engage at the underside of the drum support (or chime), holding the drum in a vertical position while it is lifted and/or transported. The unit has a working capacity of up to 3,000 lb. An intuitive lock system ensures the radial arms remain in the locked position until the load is placed in its final location. The 3A-HD-BHDL can handle drums with an outside chime diameter of 21–23 in. It can be attached to any overhead lifting hoist, or can be affixed to the company’s Model FTB-3 forklift adapter, allowing the unit to be used from the underside of a set of forklift forks. The system assures a positive locking system that eliminates the need for manual locking and unlocking of the armature to a drum. The UV Monitor Kit is used in conjunction with the Flash 150 and Flash 400 purification columns. The system indicates the UV activity of the chromatographic flow eluting from the column, simplifying the workflow and reducing solvent consumption, batch-processing time, and energy costs. The monitor eases post-run analysis in large-scale purification processes. It features an automatic error check and automatic calibration upon startup, and it has intuitive software that performs process analytical testing. A robust UV monitor core with a special wireless tablet is optimized for use in sensitive environments. This setup is ATEX-compliant in a production facility or laboratory environment. The monitor and columns are designed for use in pharmaceutical development or manufacturing environments. Can We Count on Good Turndown in Two-Pass Moving-Valve Trays?